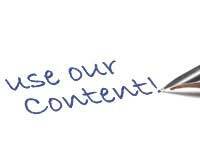 We pride ourselves on the quality of our content and appreciate that you may find some of our content would have value to the readers of your website. Do not use any more than five articles. Do not modify the text in any significant way. We do use Copyscape to keep a check on people duplicating our content (and ensure that ours is not duplicated from elsewhere). So please follow the guidelines above. We have spent a lot of time an effort on creating what we believe to be highly informative and unique articles and continue to do so. Should I cut off the blossom from a first year recently planted pear tree. I Would Like To StarT Grow Grape In My Country Cameroon. Which species Will Be Best And How Can't I Get Them? Thanks. I'll Be Waiting.